There was once a monster made by a mad doctor. That monster ran away during dinner time and so the doctor took the leftovers of the meal and made Mystery Meat! Mystery Meat went after the monster and won the Speed Death Tournament during 2007. 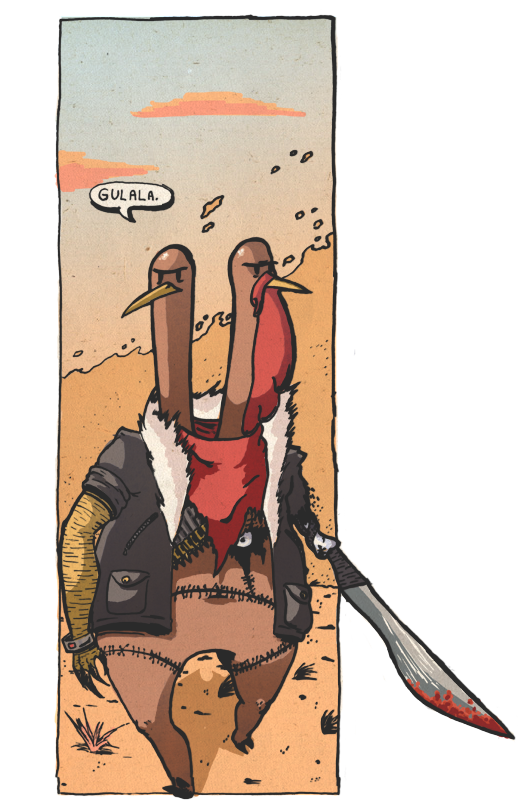 After winning SDT 07, Mystery Meat went to space and became an intergalactic bounty hunter. He had many adventures and participated in and won SDT 09 in Space. He has returned from space to win SDT 2010. Mystery Meat has a sword on his arm. It has full motion on it, so there's no awkward swinging of his arm to attack. He also carries a laser gun on him. It can shoot a laser beam and is also a mystery... His bracelet has a single button on it and that is a mystery. The left head is a girl. The right head is a boy. The midsection is a mystery. Mystery Meat was thought to currently be in Hell, but. . .